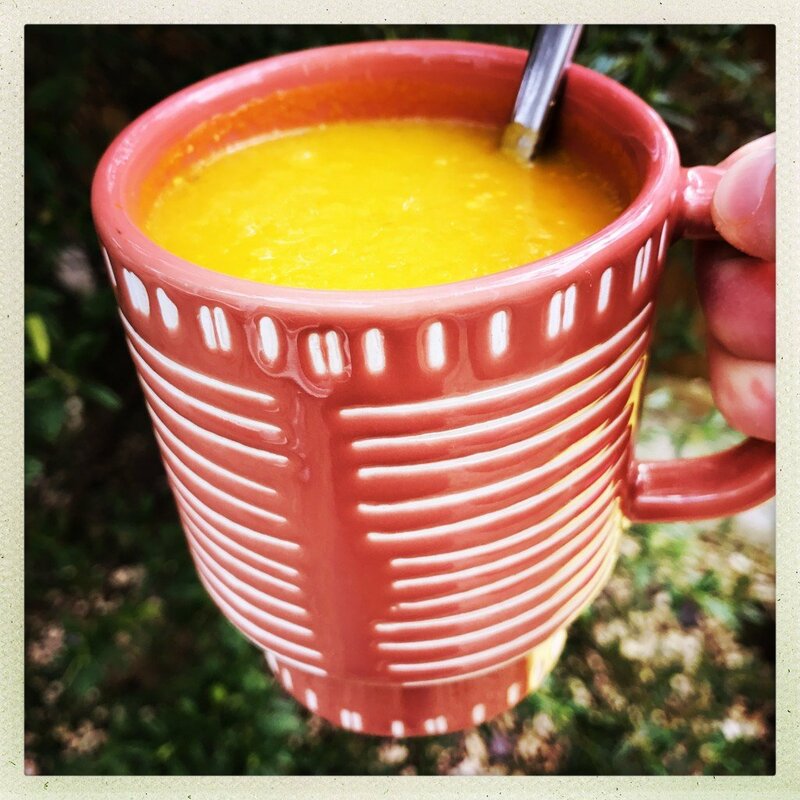 Delicious autumn soups to warm you up on a cold day. There’s something oh so comforting about coming home to a bowl of hot soup, especially if there’s a side of crusty bread smothered in butter to dip in. A delicious hearty vegetable soup, packed with Italian flavours – perfect served with fresh warm focaccia and a sprinkling of cheese. Get the hearty Italian vegetable soup recipe here. Our leek and potato soup is creamy, warming and totally comforting – so delicious alongside a plate of cheese on toast. Get the Potato and Leek soup here. 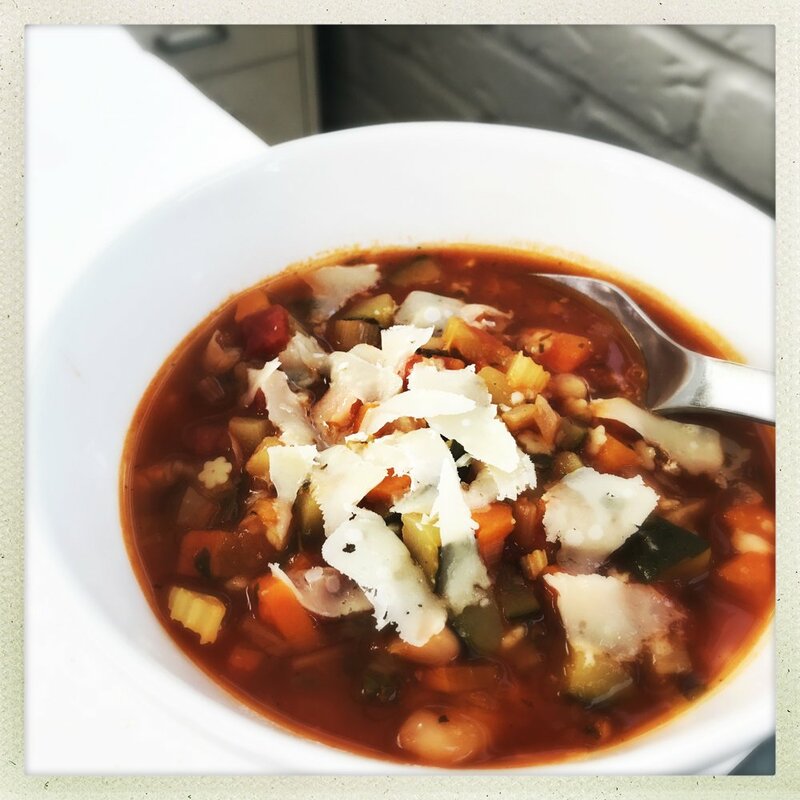 Minestrone soup doesn’t really need a recipe – just throw in whatever vegetable you like and season well, great for cold autumn days or packing into a thermos flask for autumn picnics or packed lunches. Get the easy minestrone recipe here. Mmmm we just can’t get enough of this tasty spicy soup. A total explosion of Mexican flavours and so super easy to make. Add a side of cheesy nachos for a little extra YUM! 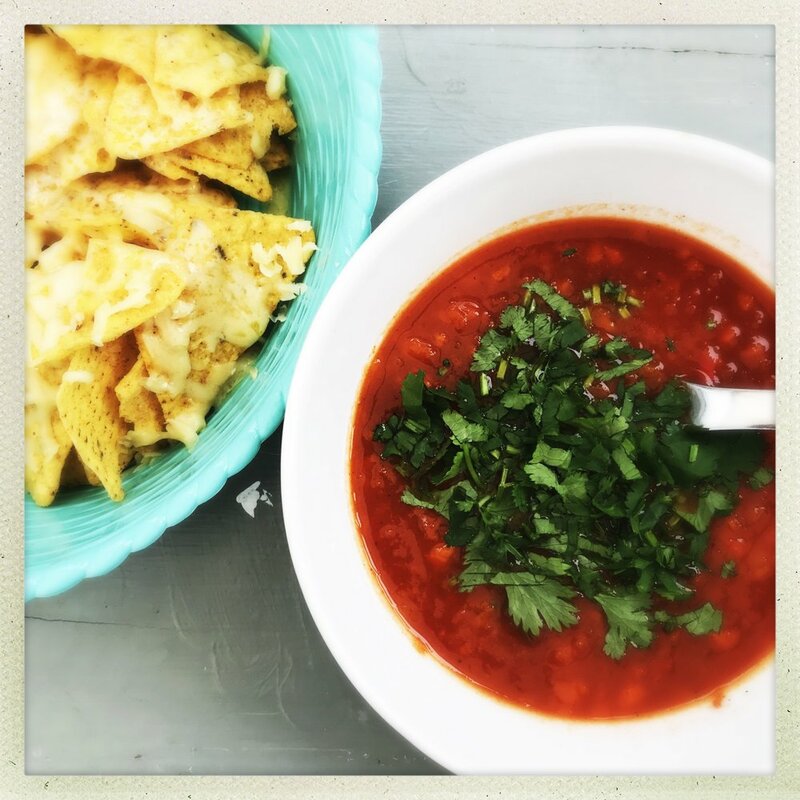 Get the Mexican tortilla soup recipe here. A quick flavoursome spicy soup – packed with warming Indian spices and great served alongside a warm naan bread. Get the curried sweet potato soup recipe here. 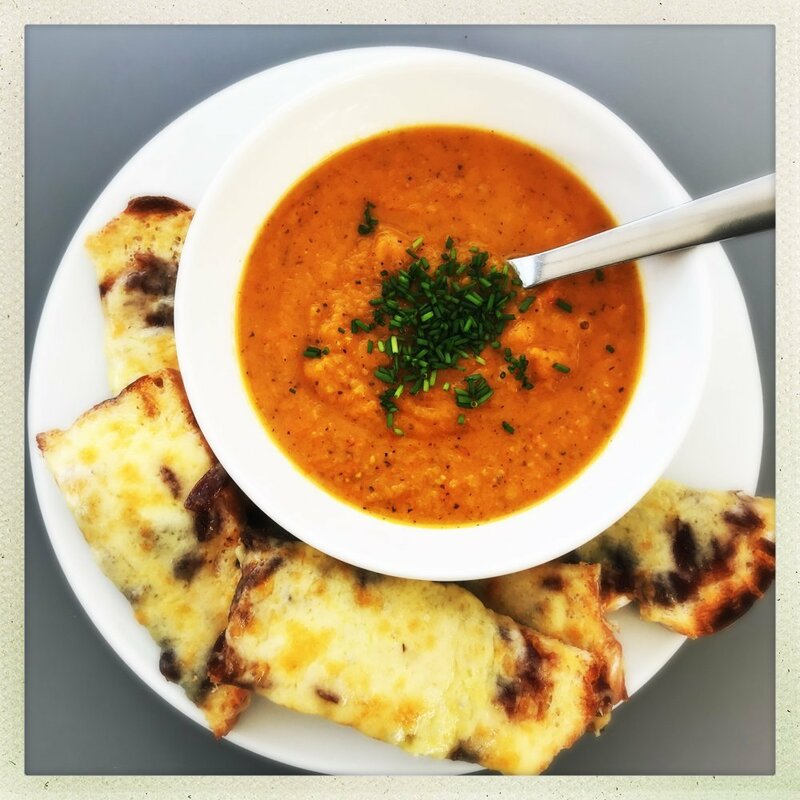 Sweet potato soup with sage is delicious, warming and perfect for a frosty day, add a few grilled cheese and chutney dippers and it just takes your lunch up a notch. Get the roast sweet potato soup recipe here. 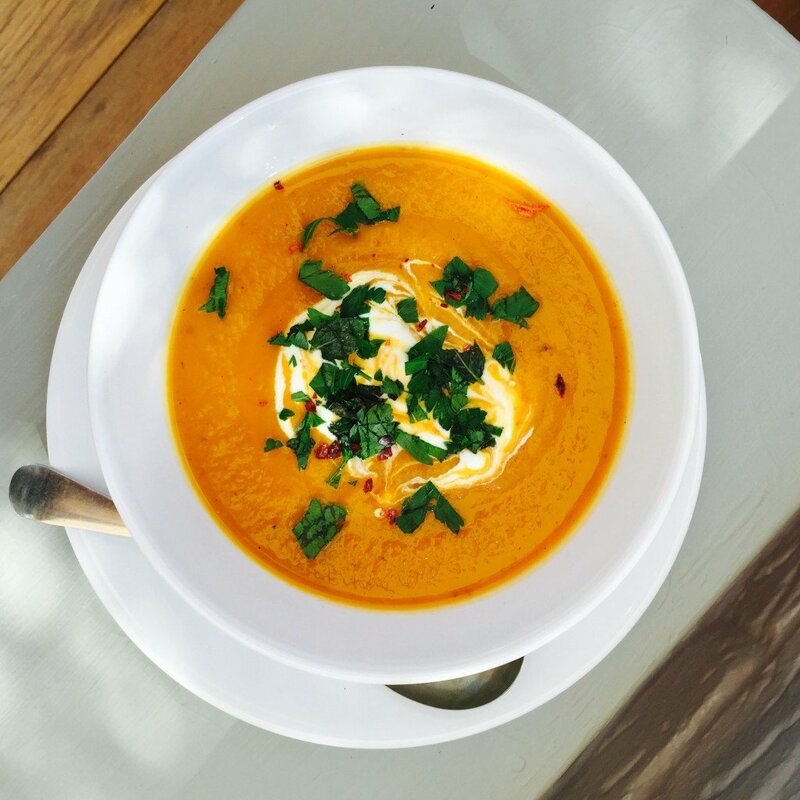 A delicious warming, comforting soup made with roasted peppers and tomatoes for a mouthwatering smoky sweet taste. 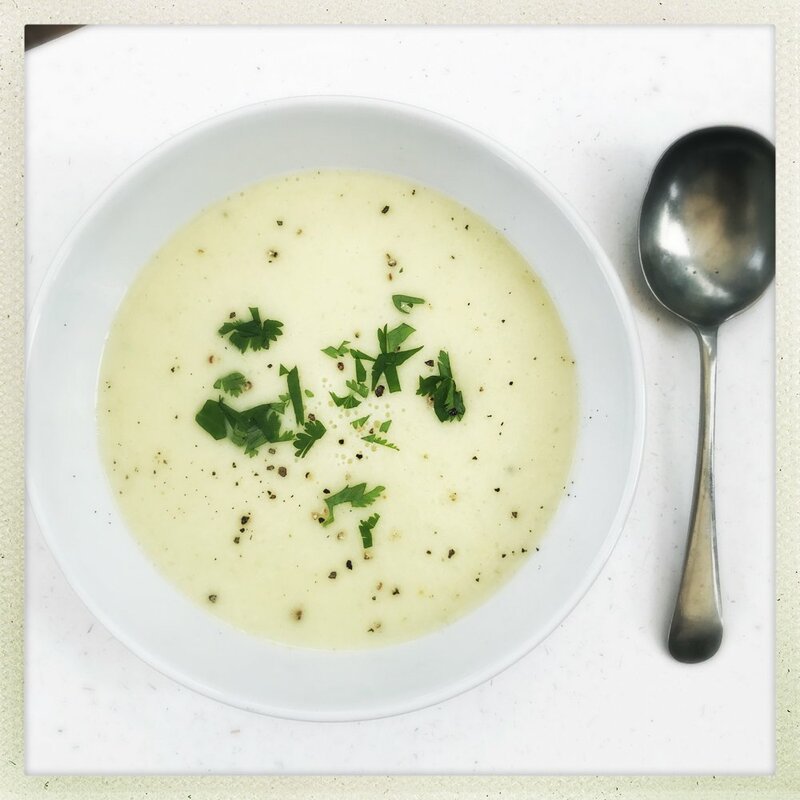 The gently spiced hit from the fennel seeds really makes this soup something special. 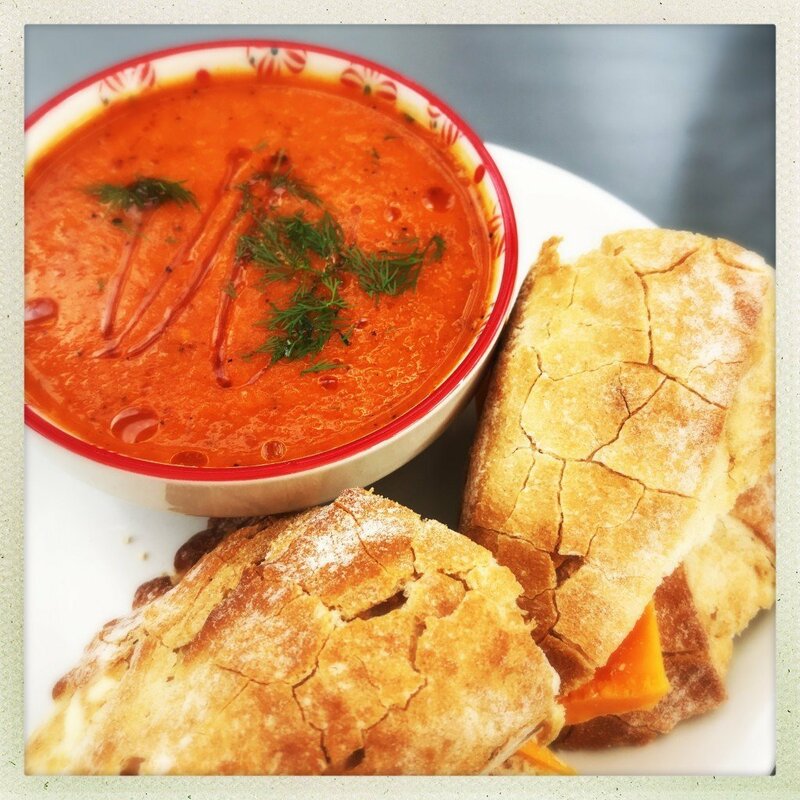 Get the roast pepper and tomato soup recipe here. 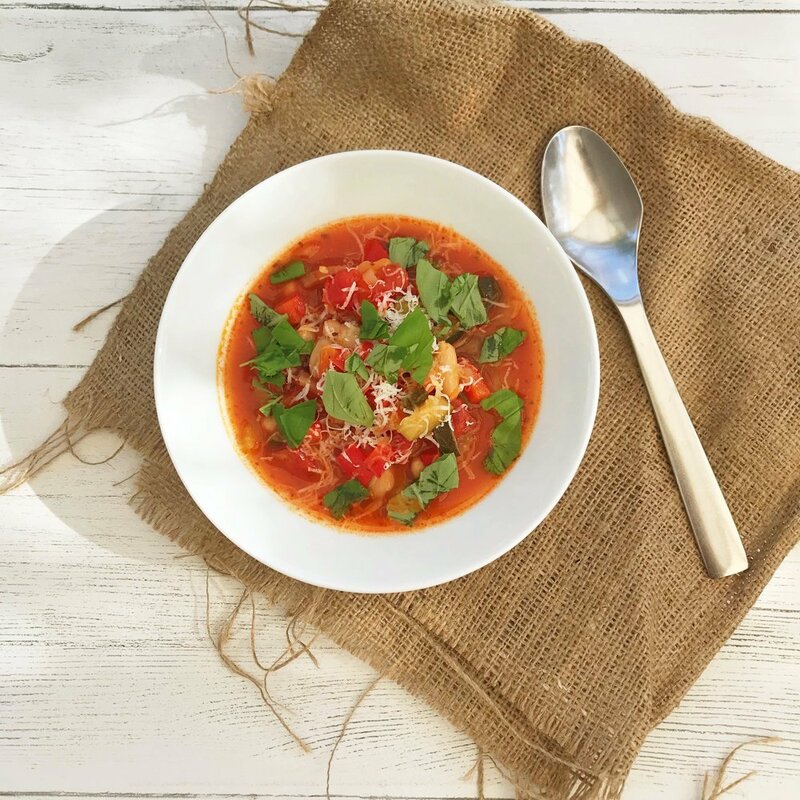 Moroccan spiced roast vegetable soup is spicy, delicious and filled with autumn flavours. It’s super quick to make and is fab for an easy weeknight meal served with toasted cheese sandwiches, or maybe bottled in a flask for a chilly autumn picnic. Get the Moroccan spiced roast vegetable soup recipe here. You’ll either love this or hate it depending on how you feel about marmite….. A yummy combo of broccoli and marmite, what’s not to love? Grab the broccoli and marmite soup recipe here. 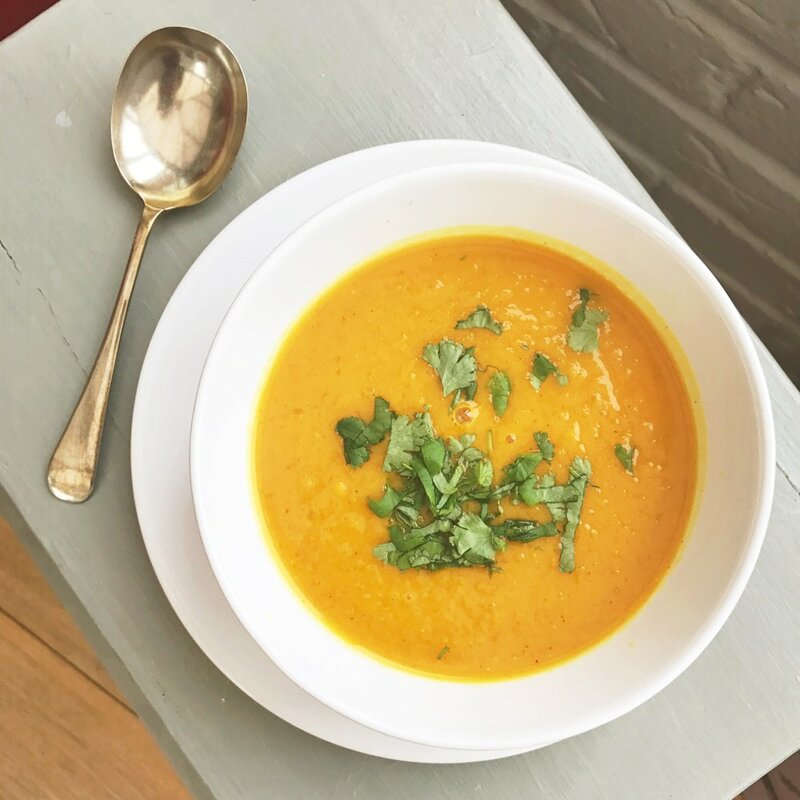 This is a great soup to simmer up if you’re a little under the weather – all those vitamins and antioxidants are sure to do good! Get the carrot and ginger recipe here.